I wrote the prayer below specifically for Lawrence churches to use on this occasion. The intent is that the plain text is spoken by the worship leader and the bold is spoken by the congregation. This prayer could be used in an inter-faith gathering if the final line were simply removed. 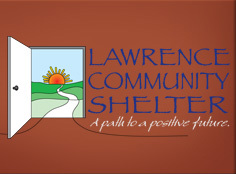 And with a few minor changes, it would work for any community, not just Lawrence. Homeless shelters everywhere need our prayers and our contributions. the luxury of a hot shower at the end of a long day. for all homeless in Lawrence, young and old, we pray. for those who give generously of their money. and as, finally, the move is made. Grant us compassion for all of your people. as we seek to follow the path of your son, Jesus Christ. Thanks Joanna for this prayer–it is very beautiful and evocative. I am thankful for your liturgical gifts!